We’re pleased to announce that our location has moved to 35 Russell St. W. (Corner of Williams and Russell). Our new store has some pretty awesome new features – like our own parking lot! No more looking for parking when you come to visit. We’re celebrating our new location on Thursday October 20th with a Grand Re-Opening and Birthday Bash you won’t want to miss! We’ll have the BBQ fired up, cupcakes and more! BOB FM will be on site along with a derby truck for charity. We’ve got more surprises in store – you’ll have to come see them for yourself. 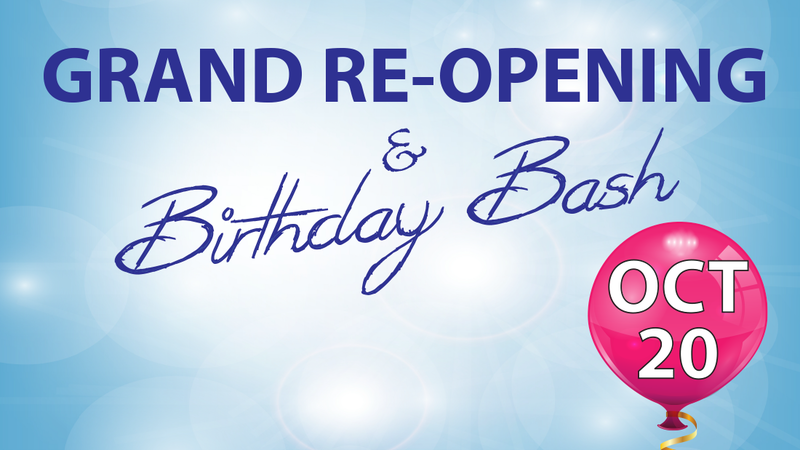 Event runs from 10-2 – but our birthday bash continues right until October 31st! **OCT 20 Update** Due to weather, the derby truck is unable to be on site today. We will still be accepting donations for the Canadian Breast Cancer Foundation.